The Westchester Medical Center Health Network announced last week that the Cadets at West Point have become the fifth group of college students to support Maria Fareri Children’s Hospital, a member of the Westchester Medical Center Health Network (WMCHealth), through a multi-hour, Dance Marathon. The cadets held their inaugural, six-hour, Dance Marathon at West Point event recently at Cullum Hall on the campus of the United States Military Academy and raised $20,217, doubling their original $10,000 goal. Running from 2 – 8 p.m., Dance Marathon at West Point connected hundreds of cadets from across the country with local children who have battled significant medical challenges at Maria Fareri Children’s Hospital, the children’s hospital for New York’s Hudson Valley and Fairfield County, Connecticut. Dance Marathon is a Children’s Miracle Network Hospitals (CMN Hospitals) program held at dozens of universities and colleges across North America. 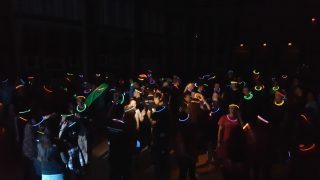 The Cadets at West Point are the first students at a United States service academy to host a Dance Marathon. During Dance Marathon events students bond with former children’s hospital patients through games, structured activities, fundraising efforts and hours of dancing. The cadet volunteers joined students at Iona College, Mount Saint Mary College, Pace University and the State University of New York (SUNY) at New Paltz as organizers of Dance Marathon events supporting Maria Fareri Children’s Hospital.